This is a comprehensive textbook catering for BTEC students at NIII and Higher National levels, advanced City and Guilds courses, and the early years of degree courses. It is also ideal for use in industrial retraining and post-experience programmes. 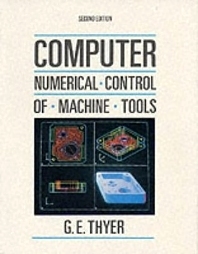 Principles; Control; Construction; Modes of operation; Output transducers; Principles of operation; Structure of part programs; Writing part programs; Setting up; Part programming for milling and drilling work; Part programming for lathe work; Computer aided part programming; Appendices; Index.